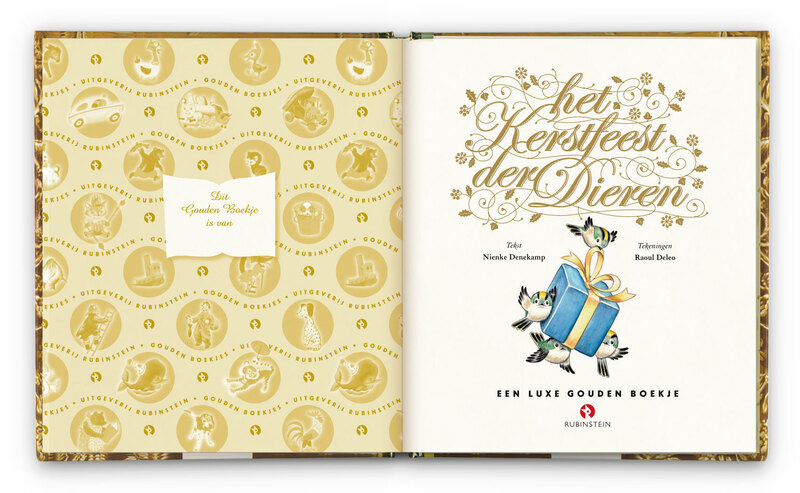 Raoul Deleo » Golden Book. 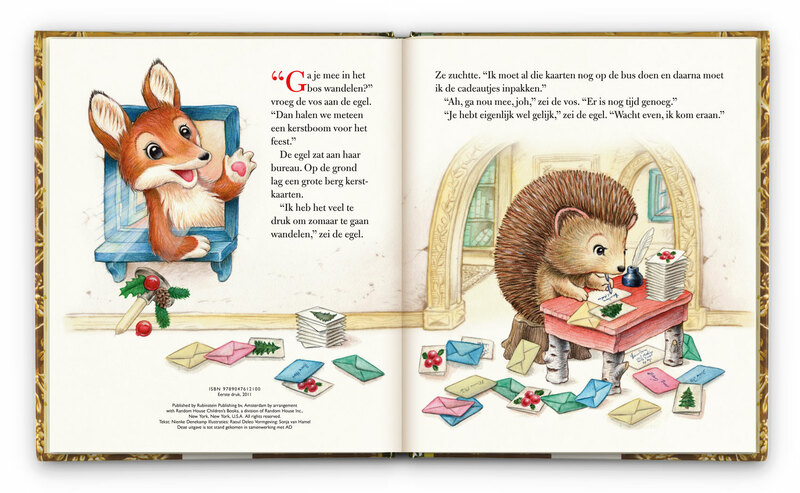 Ever since they first appeared on the Dutch market in 1953, the Little Golden Books have been a fixture in the world of children’s publishing. 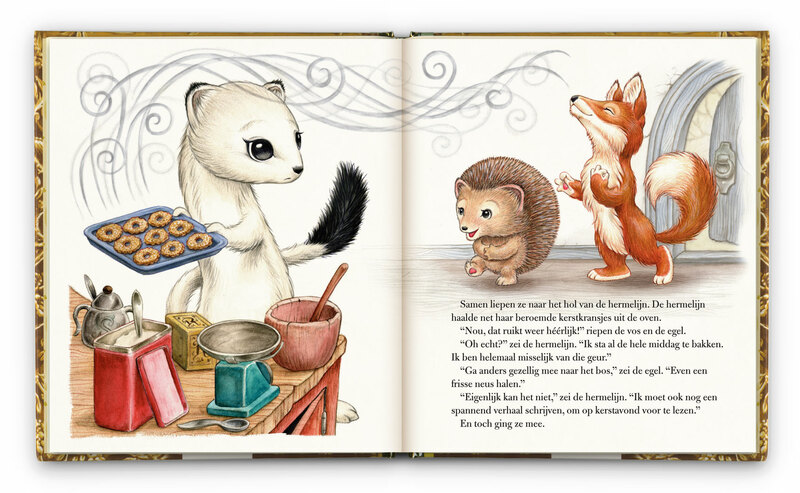 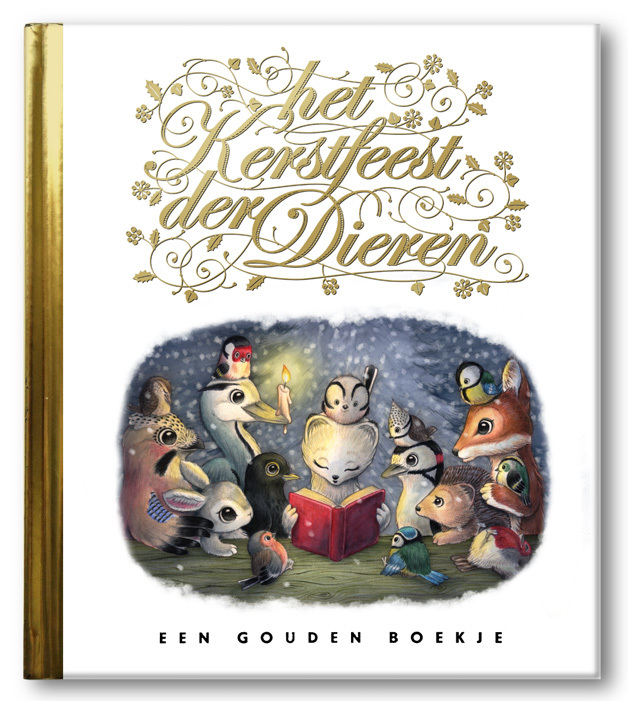 Asked by publisher Rubinstein, Raoul Deleo joined up with writer Nienke Denenkamp to create a new edition called ‘Het Kerstfeest der Dieren’.